An artificial island into the port of San Francisco. A reuse of a place full of history now abandoned. 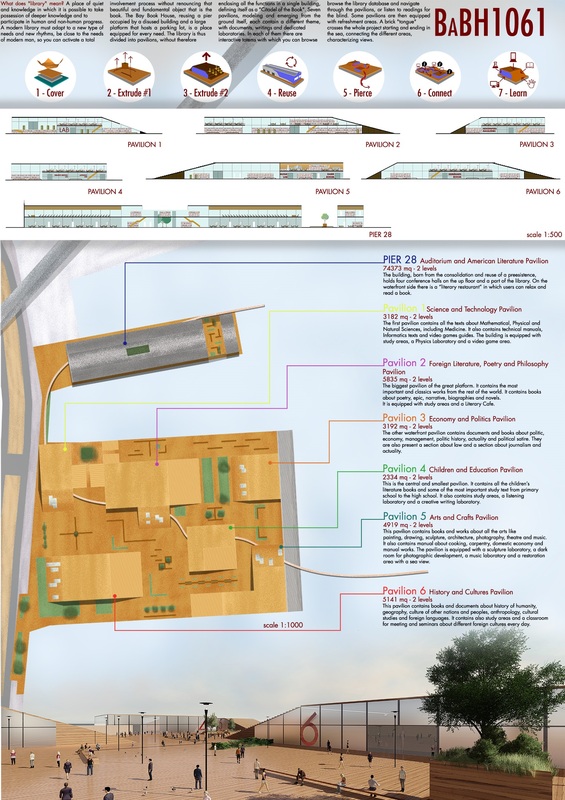 The project aims to renew the concept of the library, making available a "Citadel of Culture" with laboratories and spaces for the community, a place that lives day and night and that revalues the waterfront of the city.